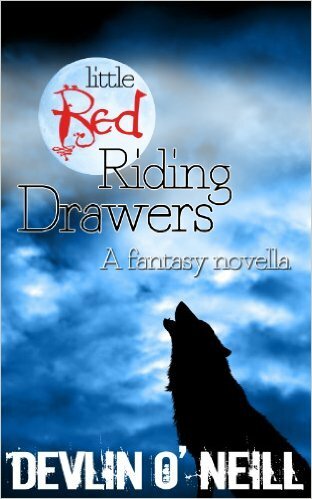 Recently, I had the privilege of listening to the audio-book version of Devlin O'Neill's Little Red Riding Drawers and I must say, I loved it! The story was great, the narration fantastic ... I really enjoyed it! I'm not an audio-book person, I couldn't even work Audible (a cleverer person than me helped me out there). Before this, I last listened to an audio-book about 15 years ago, back in the days when books were on tape. I nearly fell asleep. Not so with this book, there was far too much going on for sleep to happen! Little Red Riding Drawers can be purchased on Amazon here or through Audible here or if, like me, you'd rather do the reading yourself, you can buy it for kindle here. Hi Kelly, I really must try audio, and check this book out. I really love the title and cover! Thanks Roz, I definitely recommend it! Very glad you liked it, Kelly, and thanks for saying!